By many measures of personal happiness, job satisfaction, and pride in their communities and their state, Hawaii residents rank near the top among all Americans. Yet this doesn’t translate into high levels of civic engagement, particularly as measured by voter turnout. Social science holds that the more fulfilled and connected people are, the more politically and civically active they’ll be, but Hawaii bucks this prediction. It consistently sits near the bottom in participation in national elections—despite having placed a native son in the White House—and it was dead last in voter participation rate for the 2016 presidential contest. 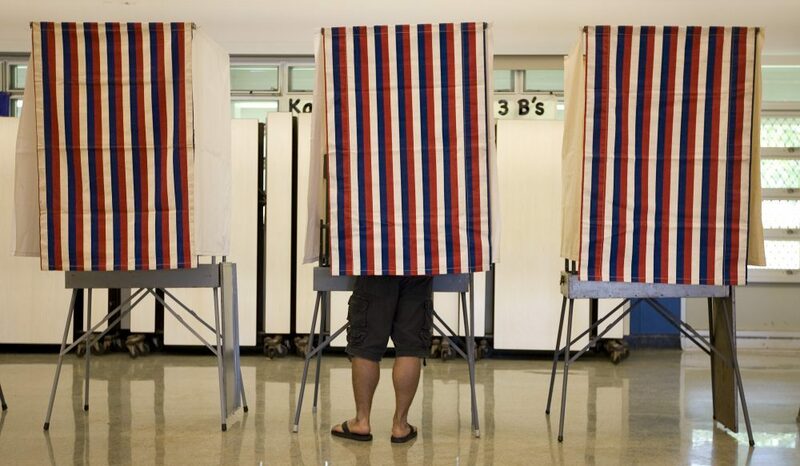 Some blame Hawaii’s low participation on the reluctance to embrace mail-only voting. But does the state’s lack of competitive races also dissuade voters from showing up? Do other indices of engagement—a 2016 Forbes magazine story ranked Hawaii 37th out of 50 states in charitable giving, and 48th in volunteering and service—indicate that Hawaii residents are disconnected not only from politics, but from civic life in general? Dean of the Pepperdine School of Public Policy Pete Peterson, director of the Hawaii Government Employees Association Randy Perreira, and Barbara Ankersmit, president of research at marketing and communications firm Anthology, visit Zócalo to examine why Hawaii voters go adrift from elections—and what can be done to turn it around. Street parking is available. Valet parking is available for $7.